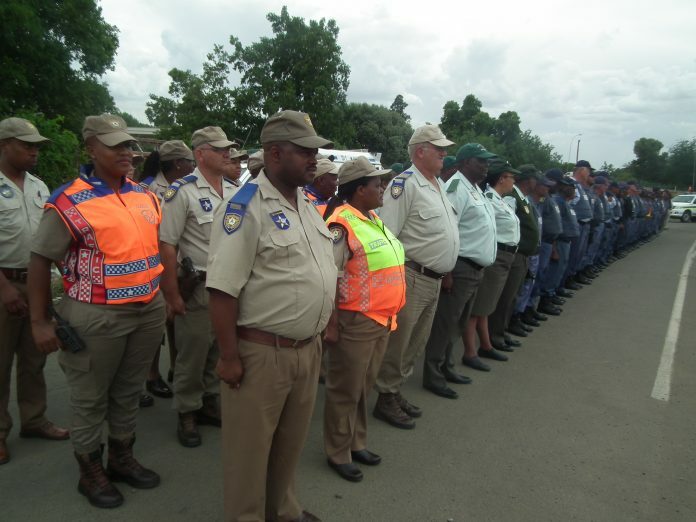 At least 80 Free State local contractors are fuming following the Department of Police, Roads and Transport in the province’s decision to axe them from the programme without a proper explanation and without an exit project allegedly promised to them by the Director General (DG), Robinson Thekiso of the department back in 2016. Speaking on behalf of the disgruntled contractors, Nkosinathi Mtwanambi, said since the inception of the Contractor Development Programme (CDP) the department has been going back and forth with the programme that was supposed to nature and equip them with skills that would have enabled them to be sustainable in the corporate world. Mtwanambi said during a meeting at the testing station in Lengau in 2016 Thekiso and the contractors agreed that the exit project would be created for them but has since reneged on the promise. He said they are angry with the department’s decision to give some of the emerging contractors among them a fleet of bakkies, trailers and equipment to help and sustain them as contractors. Meanwhile, the departmental spokesperson, Hillary Mophete, told Bloemfontein Courant that the CDP programme was only for 18 months and that Mtwanambi and others were fortunate to have had ample time of working with the department for such a long period on this pilot project. “This programme was meant to give them the necessary skills to develop them for a better future because it was an incubator programme. So the fact that they stayed for 3 years with us was an advantage for them because they were only supposed to be there for 18 months,” Mophete said. According to Mtwanambi the current head of the department, Sipho Mthakathi, called them for a meeting but instead they met with the junior officials of the department who thanked them for their services. Bloemfontein Courant understands that even the office of the premier, Sisi Ntombela, intervened by reprimanding Mthakathi about his decision to send junior officials to address and thank the disgruntled group for their services with the department. Mtwanambi said during a meeting with the premier in her office in October 2018 Ntombela asked Mthakathi to speed up the process and attend to the needs of these contractors but nothing has happened since. “Following a meeting with the premier she said she will meet with the Provincial Executive Committee (Exco) and get back to us but to date, we have not heard a word from her,” added Mtwanambi. “The sad part about all of this is we recently learnt that there is a group of emerging contractors from the Fezile Dabi District Municipality in the province that are still working smoothly with the department and have also had the privilege of receiving bakkies. All we want is an exit project as per our agreement and the policy document,” Mtwanambi concluded.